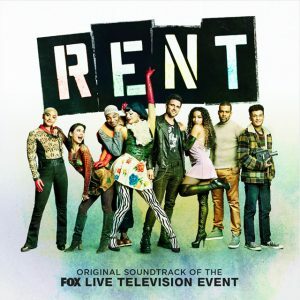 LISTEN TO THE NEW VERSION OF “Seasons of Love” from Rent- Original Soundtrack of the FOX Live Television Event, set to be released digitally February 1st and as a two-disk CD set on Friday, March 1st. Rent – Live Musical on FOX airs Sunday, January 27th (8:00-11:00 PM ET live/ PT tape-delayed), on FOX. Visit Fox.com/Rent for the latest clips and additional information about the show. Listen to “Seasons of Love (Radio Edit)” below on Spotify. Click here to listen and/or preorder.